The Shady Cove Campground is perfect for those that prefer their campgrounds to be off the beaten path. There are only thirteen total sites, one toilet, no water, and no reservations. This is the sort of campground that isn’t for “glampers” or folks that need RV hookups. It’s a quiet, secluded campground on the banks of the Santiam River that provides little more than a fire ring and a flat spot for your tent, among old trees. For some of us, it’s all we need. Another bonus of this campground is its location. It’s set away, but almost within shouting distance of the Three Pools Day Use Area, the trailhead to Henline Falls, and the trailhead that leads into the Opal Creek Wilderness. For these reasons, the Shady Grove Campground makes for an excellent home base for exploring some of the area’s best natural wonders. 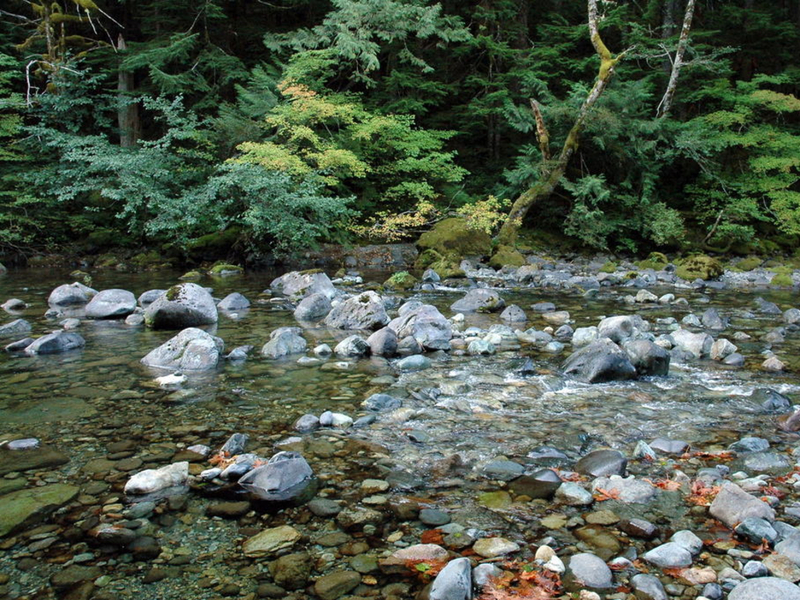 This campground is actually located within the 20,266-acre Opal Creek Scenic Recreation Area. The Opal Creek Wilderness is well known for being a pristine and ancient forest filled with old-growth trees. The surrounding area is littered with scenic mountain views and waterfalls that can be seen by hiking the at least 35 miles of trail. There is a lot to explore in Opal Creek, including the Jawbone Flats, which is an old mining community, and the close-by gorgeous Opal Pools. The emerald green water of this pool is crystal clear is one of the most popular swimming holes in Oregon. The Opal Creek flows to this pool through a chasm formed in bedrock before it plunges 30 feet. 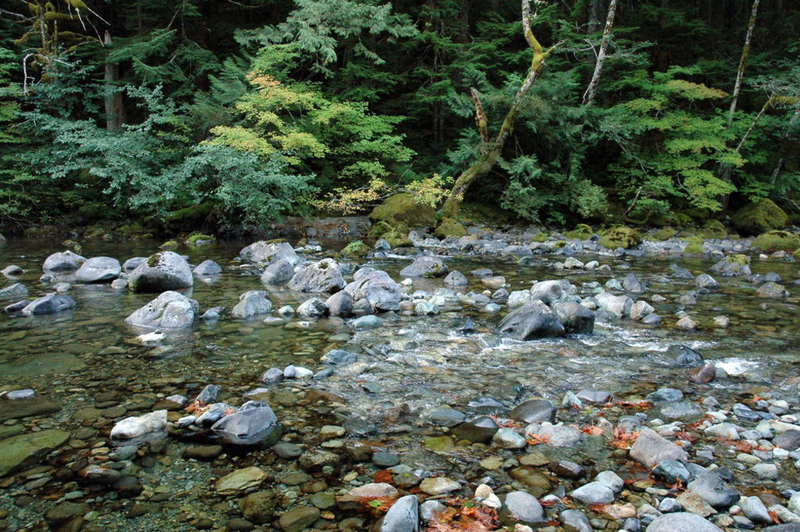 The 13 campsites sit on the beautiful Little North Santiam River, which is crystal clear and an excellent place to cool off on a hot day in the several nice swimming pools formed below the campground. There are thick trees that separate them the campsites and they are generally pretty well shaded. The campground is a bit primitive, so for those who do not enjoy camping, this may not be what you are looking for. There is a bathroom, but no drinking water or cell service. If you enjoy camping and sleeping in the wonderful outdoors, but would like to drive right up to where you are setting up your tent, this is the experience for you. To get to the Shady Cove Campground from Portland, take I-5 south toward Salem for exit 253/OR-22 toward Detroit Lake and turn left. From OR-22, take a left onto Gates Hill Road and turn right on N Fork Road, then continue on NF-2207 and the campground will be on the right. For a single campsite, it is $8 per night and it is $5 for extra vehicles per night. There are no reservations, so it is first-come, first-serve. This campground fills up quickly, so if you do not get a spot, you can go further up the road and make your own primitive camp by the creek.